HEAR THE KING OF ROCK AND ROLL, ELVIS PRESLEY THE WAY HE WAS MEANT TO BE HEARD ON VINYL. THIS RECORD, THE LEGEND LIVES ON, WAS RELEASED IN 1976 AND IS MARKED PCS-1001. BOTH THE ALBUM AND COVER ARE IN NICE CONDITION. 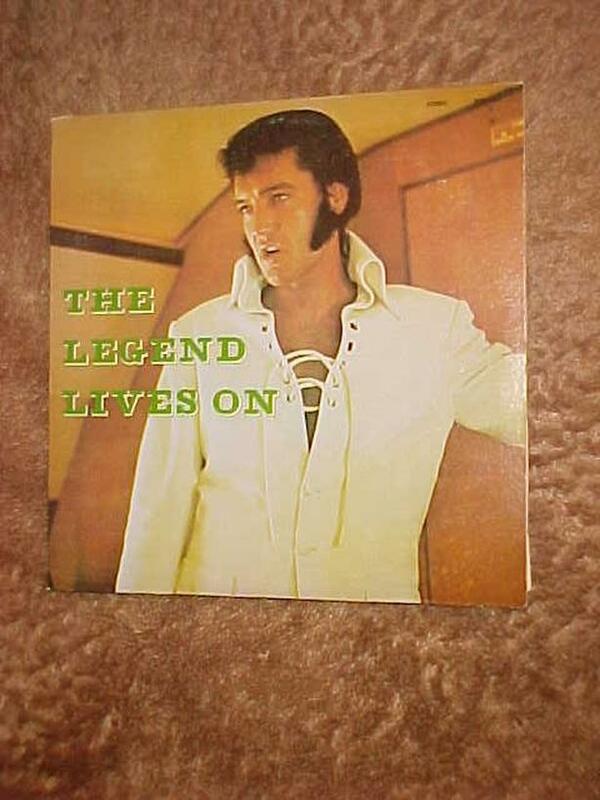 OTHER ELVIS ALBUMS ARE AVAILABLE. FOR OTHER VINTAGE ALBUMS AND COLLECTABLES, ANTIQUES AND ITEMS OF HOUSEHOLD INTEREST PLEASE VISIT MY OTHER ADS.